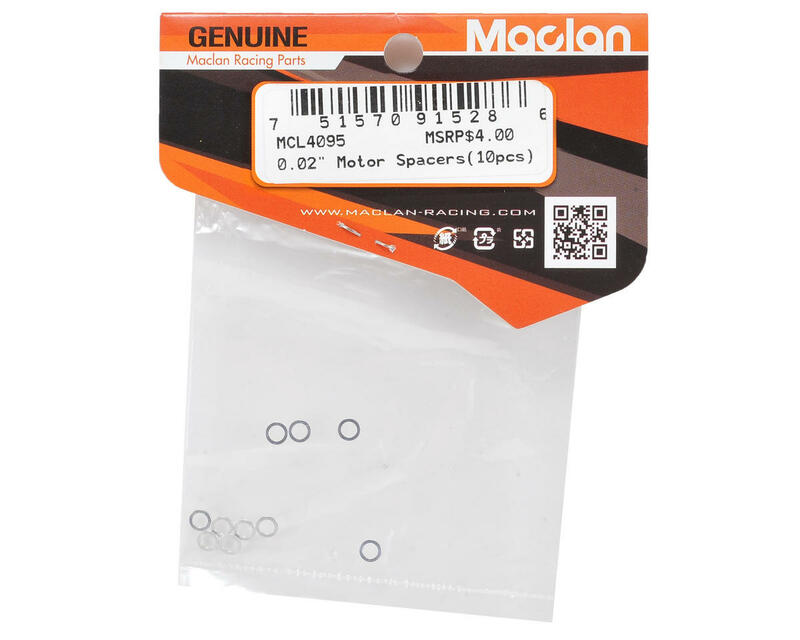 Maclan High Precision 0.02" Motor Spacers. 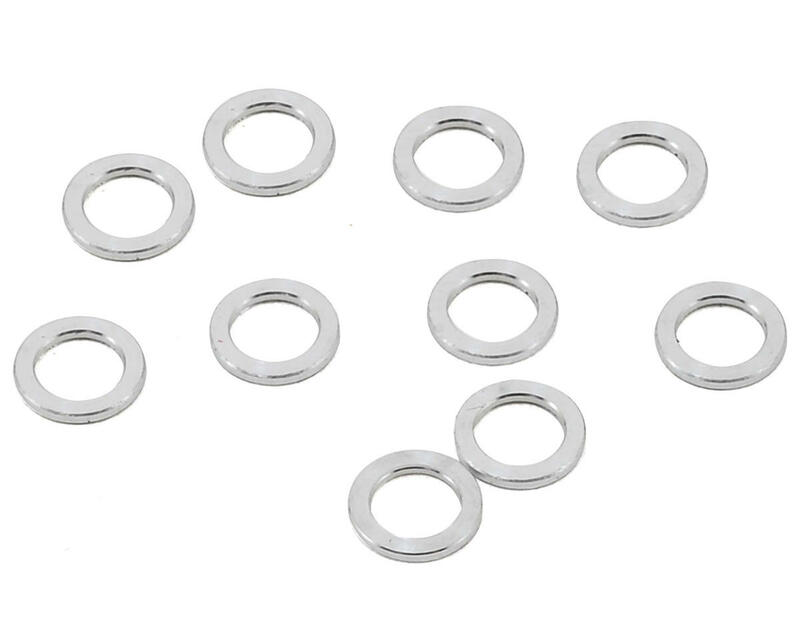 These precision machined motor shims are compatible with all standard 1/10 scale brushless motors, and are a perfect option when you want to fine tune the position of the rotor within the stator. Package includes ten shims.